A synagogue is a place of Jewish worship. In addition to housing a sanctuary for services, synagogues (most notably Chabad centers) serve as the centerpoint of Jewish life. A synagogue (shul) is a place of Jewish worship. 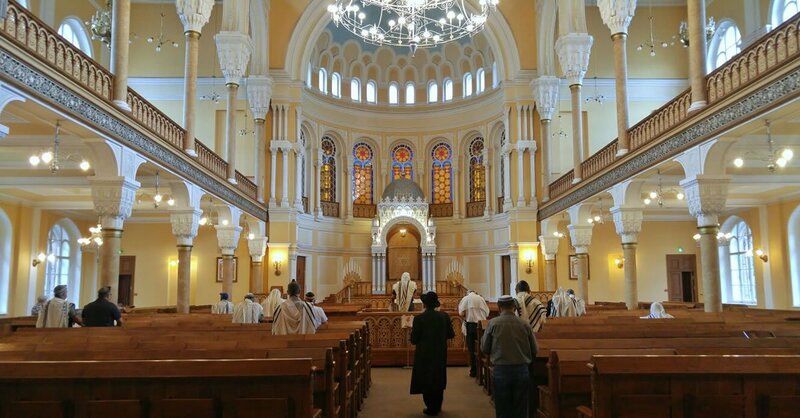 In addition to housing a sanctuary for services, synagogues serve as the centerpoint of Jewish life. Known in Hebrew as beit knesset, “house of gathering,” the synagogue can be found virtually wherever there are Jews and has been in use since the Babylonian exile. Read More . . .
Find friendly Synagogue Services Near You! Why Is the Torah Podium in the Center of the Synagogue? What is the role and function of the synagogue rabbi? Who Divided the Torah Into Weekly Readings, Chapters, and Verses? How Is the Torah Made? What to Expect at . . .